There have been hundreds of unreleased, shelved and lost albums from major musicians over the years, and a few of these unheard projects in particular have had fans questioning their whereabouts for decades. From the traditional rock recordings that were shelved by artists like Pink Floyd and Neil Young to that T-Wayne album, there are too many potentially amazing LPs that have never been heard outside of the studio or were planned, and never even recorded. This list doesn't include the unreleased albums that can still be in heard in full today. That means favorites like 50 Cent's Power Of A Dollar, which was heavily bootlegged around its early 2000 release, or the Beach Boys' Smile, which remained unavailable until it was remastered and released in 2004. Instead, we've only taken a look back at the unreleased albums that no one has ever gotten the chance to hear. 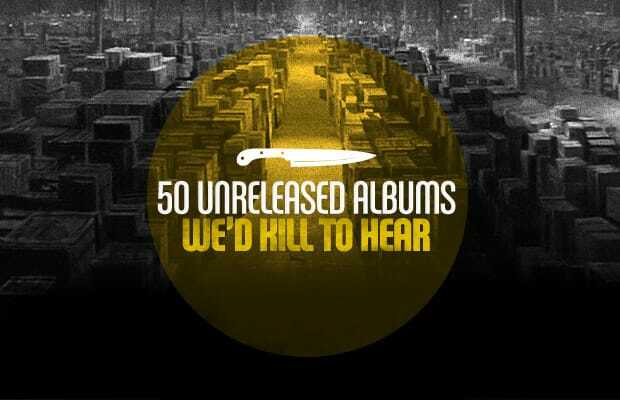 Starting back in late '60s and following up to today with artists like Drake, Rick Ross, and even rap supergroup Center Edge Territory, these are the 50 Unreleased Albums That We'd Kill To Hear.